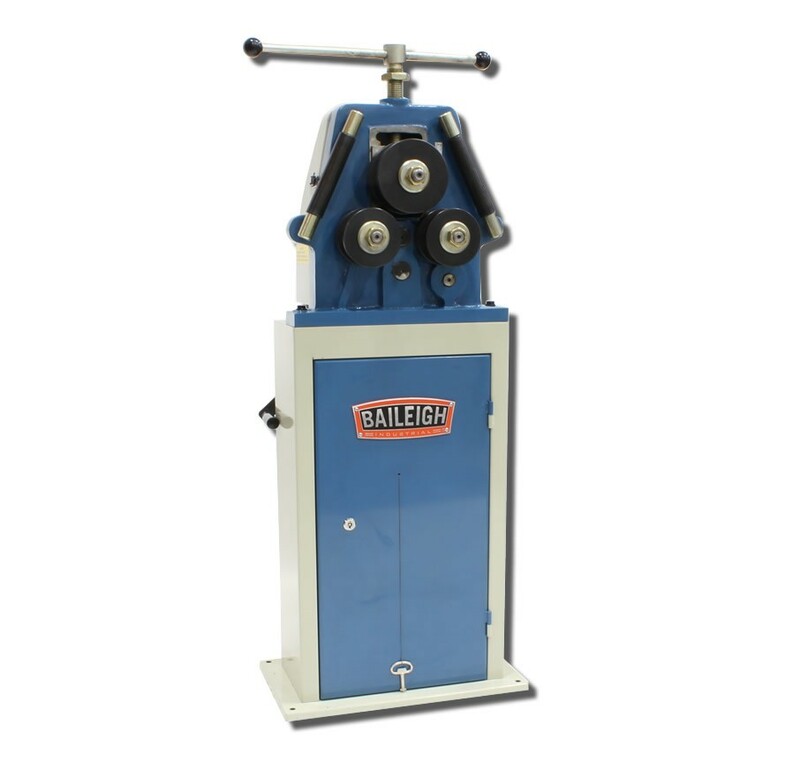 Since Baileigh introduced the R-M10 in 2004, this ring roller has proved itdoes almost everything larger roll benders can—for a fraction of the price. Maximum capacity of 1.25” (.078” wall) mild steel round tubing and 1” schedule 40 pipe capacity. Open-face design allows you to roll full circles. Manual drive includes reduction gearbox to cut down on physical effort. Comes equipped with various segment rolls for different types of flat bar, angle iron, and square tubing. Hardened rolling shafts turn on bronze bushings, ensuring that the machine will last for years and wear well. Cast steel head, machined to exacting tolerances, maintains accuracy when bending at full capacity. Machine base opens to a handy storage cabinet. Many optional sizes of tooling are available for round tube and pipe, among other profiles. Backed by Baileigh’s 1-year parts warranty and lifetime technical support.